This African Colonial style lodge caters for the discerning nature lover, and its unique position on a ridge overlooking the Pongola River commands panoramic views of the reserve. 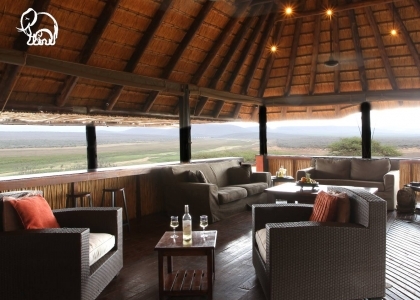 It is the ideal place in which to relax and enjoy regular sightings of Hippopotamus, Crocodile and the many species of general game that are found in the reserve. 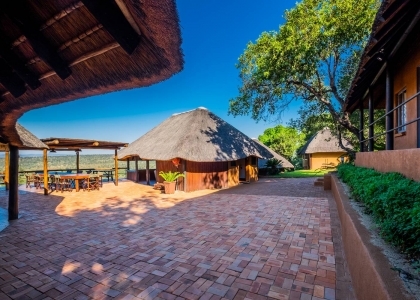 The lodge accommodates 30 guests in 11 en suite thatched chalets and 2 family chalets consisting of a living area, 2 bedrooms with twin beds and en suite bathrooms. All chalets are tastefully furnished and have air conditioning, mini bar fridges, tea and coffee facilities and private verandas.